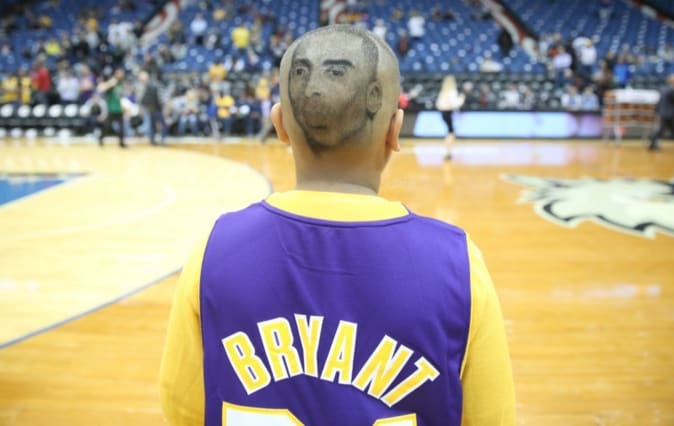 A 9-year-old Kobe Bryant fan decided to rep his favorite player by having his face shaved into the back of his head. The Los Angeles Lakers shared a photo on Twitter of Marcus McQueen&apos;s impressive new hairstyle after he attended the game on Wednesday night. McQueen says he spent over three hours in a barber chair getting the portrait done and it looks like it was time well spent. The incredibly detailed cut is definitely on point. A quick glance at the photo and you&apos;d almost think Bryant was wearing his jersey backwards.